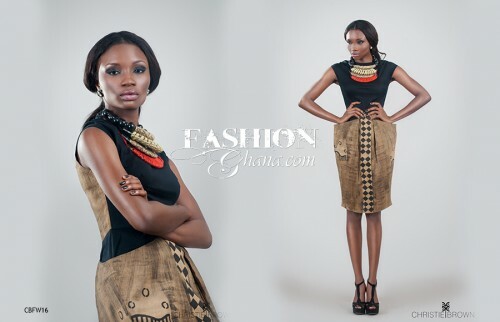 The Dure Collection “Autumn/Winter” 2013 is definitely an astonishing landmark in African fashion. To title Aisha Obuobi (Designer and founder of Christie Brown) as the best Ghanaian designer to date will not be enough credit to justify the creativity behind this new collections. This is chic, funky, elegant, cool, vibrant, young and mature all in one, something that is rarely done within any collection around the world. Yet despite the variation of flavours, the young talented designer, Aisha Obuobi, manages to keep an uniform feel. Very modern, yet still African. I was blown away on the initial site of the images and still am now, although I could write a speech about how speechless I am. 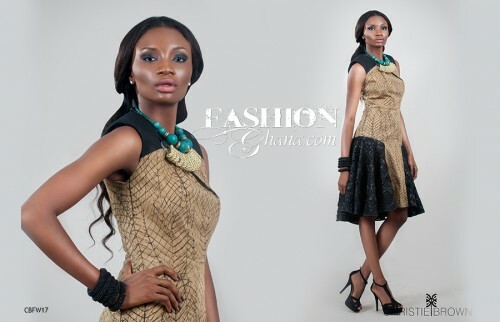 In saying that, on behalf of the FashionGHANA.com, we say congratulations to Aisha Obuobi and the Christie Brown staff. Sorry we couldn’t wait for the press release. Congrats also goes out to UK based Nigerian model, Paula Okunzuwa, that brought these images to life. PS: Feel free to share if you love what you see. I agree, this must be one of the best and best presented collections I’ve seen from Ghana. kudos to the young. I loooooooooove her stuff, shes definitely the best. but ther eis no where to get it in switzerland. would you be selling it here? I doubt these are exceptionally amazing. Maybe for Ghana it may be, they are nicely tailored but I am not caught in the hype. christie is one of the reasons why i am going to loose wt. her clothes are the best. i wore one when i visited the states recently for a function. everyone wanted one. beautiful, well tailored, just great at what she does. i cant wait to be a slim chic.